Are you thinking about fishing the GA waters? Well, that’s all we think about and do. We have set up different fishing charters to catch certain fish that have captured the imaginations of generations of people. Our Georgia waters hold fish to catch for any level sportsman. We would like nothing more than to partner with you as your fishing guide service to make that fishing rod bend. Interested in fishing Lake Allatoona or the Etowah and Coosa Rivers? Orion Fishing Charters will target a certain species of fish for you that you choose and do everything possible to make you get that catch. Also, we can fill your day with a variety of fish species fishing options. You make the call now when choosing a charter or on the water that day. Also, we have action filled fishing styles to keep kids smiling and help them discover our amazing GA outdoors. 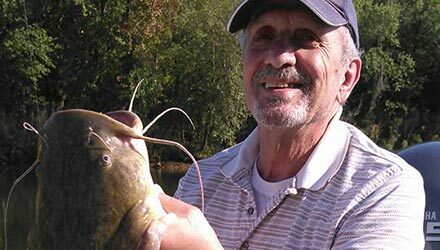 If you want to get on the water, rivers or lakes, choose Orion Fishing Charters to be your fishing guide!